The Flow Hood Vent test is used to measure, to diagnose, and to demonstrate air leakage problems in the duct system and Air Balancing Defined. The Importance Having of This Test In its simplest form, Air balancing is the process of testing and adjusting your air conditioning and heating system to deliver the right amount of air to each room in your home. 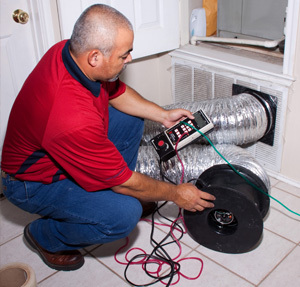 The actual Air Balancing process includes a number of related tests that determine the performance of your air conditioning and heating system. Air balancing hood are use to measure the amount of air at each grille, Manometers measure system static pressures, Hygrometers will measure system temperature and humidity and the result of all these test s are compiled into a report to determine how well your system is functioning. LgO will inspect the duct system in order to identify possible leaks. A report is provided to the customer with the inspection results and recommendations. Repairs are made by the customer using a contractor of their choice. 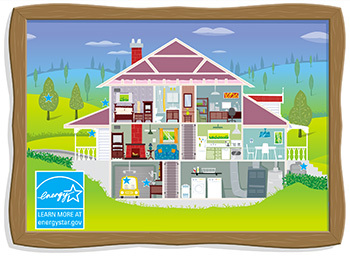 At the customer’s request, LgO can make a second inspection to ensure the repairs fall within the energy efficiency guidelines. The second inspection is required when the customer is requesting any applicable rebates from CPS Energy.